Imagine that a friend—maybe a casual acquaintance or coworker—had graded your college papers and exams. That’s instead of a professor with a cold, critical eye. The whole experience would have been a lot easier, but the drive to study and truly understand the material might have been subpar. 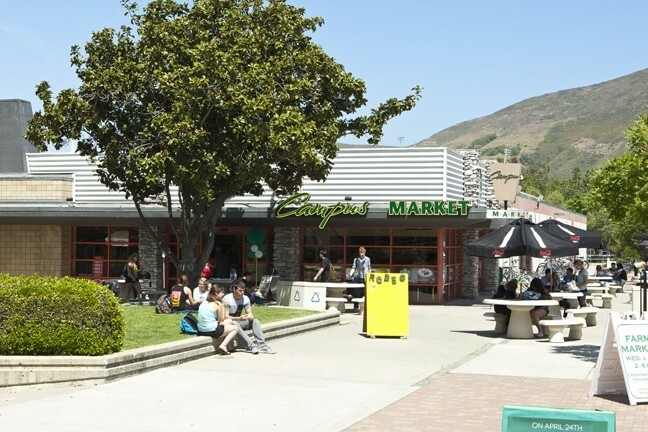 STAMP OF APPROVAL: Since October 2010, Cal Poly’s restaurants have been inspected 33 times. The form includes a detailed checklist for the inspector and a space for notes, but the checklist section was used just four times. 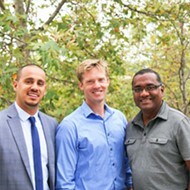 At Cal Poly San Luis Obispo, where “learn by doing” is the official motto, food purveyors enjoy a similarly close relationship with health inspectors, one that isn’t found among privately owned restaurants or dining facilities at most campuses throughout the California State University system. Any California business that serves food is supposed to abide by the state’s retail food code. Usually, oversight falls on the shoulders of the restaurant’s county or city public health department, but as a state institution, Cal Poly inspects its own kitchens. The man who tours the facilities is a state-licensed environmental health specialist, but he also collects his paychecks from the university that requires its live-in student population to dine at those same facilities with expensive meal plans. According to the college’s Environmental Health and Safety (EHS) Department, the relationship between the inspector and the campus’s 17 restaurants isn’t as close as it seems, but former employees from one dining facility told New Times that the inspector’s notes are viewed more as suggestions than demands, which can lead to substandard conditions in the kitchen. 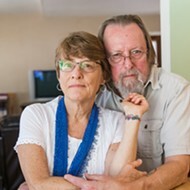 The employees asked to remain anonymous for fear of being seen as tattlers by other potential employers in the area, but two said that within the last six months they saw rodents in the pantry area of Campus Market and were told by supervisors to serve pre-packaged, frozen soup that was reportedly thawed, sold, and consumed two years after its expiration date. They also alleged that management failed to instill proper sanitation standards in students who worked intermittent, part-time shifts. David Ragsdale, director of the Cal Poly EHS Department and a former public health inspector with SLO County, said that food handlers are always battling infestation, but the school’s pest control contract briefly lapsed 2 1/2 to three years ago, which might account for recent rodent sightings. He added that Cal Poly currently contracts with Eco Lab to spray for bugs and set and monitor rodent traps. Any evidence of infestation would trigger an immediate response, and nothing was found during Campus Market’s April inspection, Ragsdale said, supplying a copy of the report to back his statement. “Our standard is the same as California code: It’s not acceptable to have rodents,” he said. As far as soups are concerned, Ragsdale said the expiration date that’s listed on the package refers to palatability, not safety. Soups that are kept frozen beyond their suggested serve date would lose texture and flavor, but they would not be hazardous to eat. “Still, if [our inspector] finds food that’s past its expiration, he’d have them throw it out,” he noted. The inspector himself chose not to comment for this article, but copies of his reports, dating back to October 2010 were supplied. 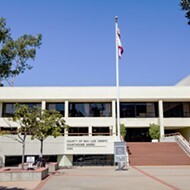 Some dining facilities—like Sage, the upscale restaurant across from the Performing Arts Center—were only inspected once or twice per year and always passed with just minor notes, but kitchens in Poly Canyon Village, which are more heavily frequented by students, appeared more problematic and were subjected to more routine follow-ups. The inspector found products that were out of date, and comments about dirty slicers and improperly kept temperature logs are repeated throughout the reports. On several occasions, the inspector found perishable items displayed at temperatures above 50 degrees, rendering them unsafe. Nothing was found to be spoiled, though, according to the reports. According to some former employees, thawed hamburger patties were kept in an ice solution near the grill. By mid afternoon, the heat would melt the ice and leave the meat sitting in lukewarm water. 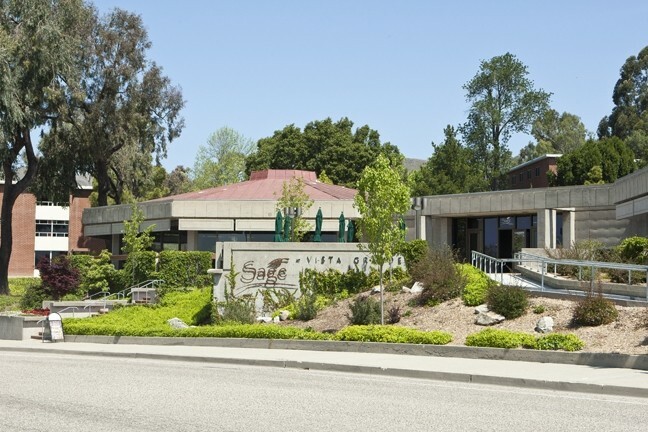 Other former employees weren’t as harsh in their critiques and noted that the cooks with severe complaints to dish might have had other reasons to be angry with the university and Cal Poly Corporation. Campus kitchens regularly employ a mix of relatively untrained students, managers, and professional staff. All sources for this article came from the latter category. The California Retail Food Code requires that at least one employee or owner at each facility undergo Food Handler’s training, but Cal Poly goes above and beyond, according to Ragsdale. He said that all professional staff members are required to pass the state-certified ServSafe program, which is available online and covers things like hand washing, food storage, and the minimum cook temperatures for various meats. A condensed version is available to student employees, Ragsdale said. But why does Cal Poly get the luxury of inspecting its own facilities when private restaurants have to face outside oversight? No one could provide New Times with a clear answer. Sixteen of California’s 23 California State University campuses responded to requests for information about how their food service facilities were inspected and permitted. Spokespersons for 11 of them said that city or county public health officials issue their permits. Five, including Cal Poly, handled inspections internally. 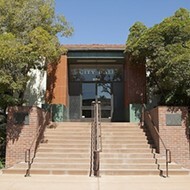 SLO County’s Environmental Health director, Curtis Batson, said that the county once contracted inspection services with the university, regularly sending one of its inspectors to the campus. Even then, the inspector didn’t act under the authority of the county, but only as a service provider, a sort of consultant. That relationship ended 10 to 12 years ago, shortly after Batson joined the department. He couldn’t recall with certainty why things changed, but he said the university could use their services again, for a fee. Depending on the size of the facility, SLO County charges anywhere from $330 to $553 per year to inspect a restaurant and $233 to $625 for markets. One thing Batson knew for certain: SLO County never issued food service permits to Cal Poly restaurants. Ragsdale’s recollection of the shift in inspection procedures differed slightly. He said SLO County stopped inspecting Cal Poly more recently, in 2006 or 2007. 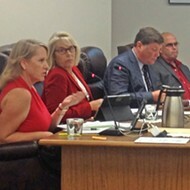 At that time, he said the school’s EHS department asked SLO County to provide official permits and inspections, but the request was turned down because county officials felt they didn’t have jurisdiction over state facilities. 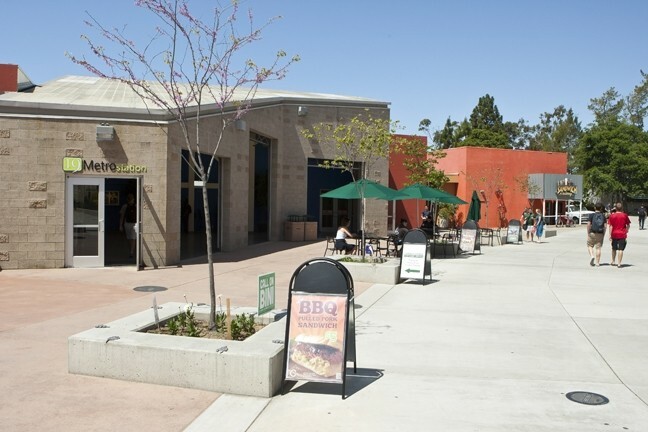 So, Cal Poly turned to the California Department of Public Health, Ragsdale said, but the state organization had no interest in inspecting campus delis and diners. A department spokesperson told New Times that the state only issues permits for massive food production facilities and regional distribution centers. With nowhere else to turn, Cal Poly decided to do the inspections itself. The university already had a certified environmental health specialist on staff to oversee other campus safety concerns. Why not have the person inspect restaurants as well? Really, no one issues permits for campus facilities. According to Ragsdale, permits are only necessary to cover the cost of inspections and to keep track of new businesses, but that isn’t necessary considering the campus’ integrated community. Technically, the university doesn’t run any of the restaurants on the campus. That duty falls to the Cal Poly Corporation. The two organizations have separate revenue streams and staff, but they’re working toward the same goal: maintaining a place conducive to higher education. Though the corporation is directly in charge of running the restaurants, the university demands that most of its first-year students (anyone living on campus) buy into a meal plan that utilizes the corporation’s eateries. The plans range in price from $3,740 to $4,693 per student per year and cover eight meals per week. Additional meals can be bought in $300 to $750 blocks. 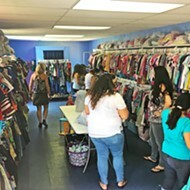 In 2012, venues made 3,600 transactions per day and were on track to pull in $26.7 million for the corporation, according to minutes from the May 2012 board of directors meeting. Ragsdale said his department has never had to close a campus dining facility, but it could if severe enough violations were found. For minor violations, the inspector issues warnings and initiates a follow-up report to make sure changes are made. Of the hundreds of restaurants that do fall under his jurisdiction, Batson said his department suspends just five to 10 permits per year and only when businesses exhibit severe violations or a willful disregard for his inspector’s recommendations. Ragsdale said that zero students have complained about food quality in recent years, not since an E. Coli outbreak in the early 2000s that affected the whole county. Nick Powell is a New Times staff writer. Contact him at npowell@newtimesslo.com.